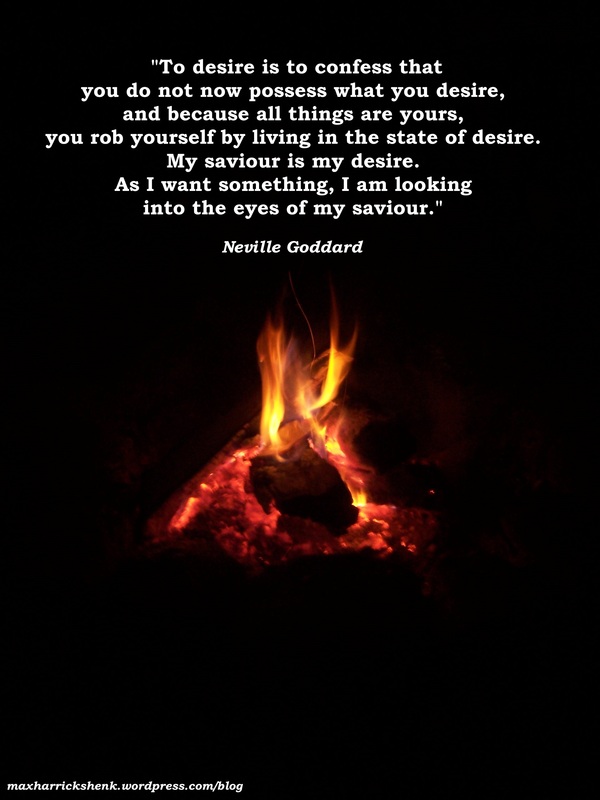 NOTE: One of my favorite aspects of Neville Goddard’s teachings is his reframing of scripture from traditional readings (secular or religious history) to an interpretation based on psychological and mystical principles. He felt that the bible was not meant to be read as literal history, but, rather, was meant to be practical and instructional, couched in metaphor and parable though it was. As someone who never quite “bought into” the Bible as literal history of any kind, Neville’s approach resonates. I can safely say that the Bible never really made sense to me until I considered it in the terms that Neville outlines. “…Let me state now that the Bible has no reference at all to any persons who ever existed or to any event that ever occurred upon earth. “The ancient storytellers were not writing history, but an allegorical picture lesson of certain basic principles which they clothed in the garb of history, and they adapted these stories to the limited capacity of a most uncritical and credulous people. “Throughout the centuries, we have mistakenly taken (biblical) personifications for person, allegory for history, the vehicle that conveyed the instruction for the instruction, and the gross first sense for the ultimate sense intended. “You are told that Pilate had no choice in the matter; he was only a judge interpreting law, and this was the law. The people had to be given that which they requested. Pilate could not release Jesus against the wishes of the crowd, and so he released Barabbas and gave unto them Jesus to be crucified. “Now bear in mind that your consciousness is God. There is no other God. And you are told that God has a son whose name is Jesus. If you will take the trouble to look up the word Barabbas in your concordance, you will see that it is a contraction of two Hebraic words: BAR, which means ‘a daughter or son or child,’ and ABBA, which means ‘father.’ Barabbas is the son of the great father. And Jesus in the story is called the Saviour, the Son of the Father. “We have two sons in this story. And we have two sons in the story of Esau and Jacob. Bear in mind that Isaac (Esau and Jacob’s father) was blind, and justice, to be true, must be blindfolded. Although in this case Pilate is not physically blind, the part given to Pilate implies that he is blind because he is a judge. On all the great law buildings of the world, we see the lady or man who represents justice as being blindfolded. “Here we find Pilate is playing the same part as Isaac. There are two sons. All the characters as they appear in this story can apply to your own life. You have a son that is robbing you this very moment of that which you could be. “If you came to this meeting tonight conscious of wanting something, desiring something, you walked in the company of Barabbas. “For to desire is to confess that you do not now possess what you desire, and because all things are yours, you rob yourself by living in the state of desire. My saviour is my desire. As I want something I am looking into the eyes of my saviour. But if I continue wanting it, I deny my Jesus, my saviour, for as I want I confess I am not and ‘except ye believe that I AM He, ye die in your sins.’ I cannot have and still continue to desire what I have. I may enjoy it, but I cannot continue wanting it. “Here is the story. This is the feast of the Passover. Something is going to change right now; something is going to pass over. Man is incapable of passing over from one state of consciousness into another unless he releases from consciousness that which he now entertains, for it anchors him where he is. “You and I may go to physical feasts year after year as the sun enters the great sign of Aries, but it means nothing to the true mystical Passover. To keep the feast of Passover, the psychological feast, I pass from one state of consciousness into another. I do it by releasing Barabbas, the thief and robber that robs me of that state which I could embody within my world. “The state I seek to embody is personified in the story as Jesus the Saviour. If I become what I want to be, then I am saved from what I was. If I do not become it, I continue to keep locked within me a thief who robs me of being that which I could be. “These stories have no reference to any persons who lived, nor to any event that ever occurred upon earth. These characters are everlasting characters in the mind of every man in the world. You and I perpetually keep alive either Barabbas or Jesus. You know at every moment of time who you are entertaining. “Do not condemn a crowd for clamoring that they should release Barabbas and crucify Jesus. It is not a crowd of people called Jews. They had nothing to do with it. “If we are wise, we too should clamor for the release of that state of mind that limits us from being what we want to be, that restricts us, that does not permit us to become the ideal that we seek and strive to attain in this world. “Tonight you can sit right here and conduct the trial of your two sons, one of whom you want released. You can become the crowd who clamors for the release of the thief, and the judge who willingly releases Barabbas, and sentences Jesus to fill his place. He was crucified on Golgotha, the place of the skull, the seat of the imagination. “To experience the Passover or passage from the old to the new concept of self, you must release Barabbas, your present concept of self, which robs you being that which you could be, and you must assume the new concept which you desire to express. “The best way to do this is to concentrate your attention upon the idea of identifying yourself with your ideal. Assume you are already that which you seek and your assumption, though false, if sustained, will harden into fact. “You will know when you have succeeded in releasing Barabbas, your old concept of self, and when you have successfully crucified Jesus, or fixed the new concept of self, by simply looking MENTALLY at the people you know. If you see them as you formerly saw them, you have not changed your concept of self, for all changes of concept of self result in a changed relationship to your world. “We always seem to others an embodiment of the ideal we inspire. Therefore, in meditation, we must imagine that others see us as they would see us were we what we desire to be. “You can release Barabbas and crucify and resurrect Jesus if you will first define your ideal. Then relax in a comfortable arm chair, induce a state of consciousness akin to sleep, and experience in imagination what you would experience in reality were you already that which you desire to be.